1.1. This website can be accessed at www.shop.opulentliving.co.za, related mobi-sites and software applications (hereinafter referred to as “the Website”) and is owned and operated by Newspace Publishing CC. Coco d’Afrique is a registered trademark of Newspace Publishing CC (hereinafter referred to as “Coco d’Afrique;”, “we”, “us” and “our”). 1.2. These Terms and Conditions (“Terms and Conditions”) govern the ordering, sale and delivery of goods as well as the use of the Website. 1.3. These Terms and Conditions are binding and enforceable against every person that accesses or uses this Website (“you”, “your” or “user”). By using the Website and by clicking on the “Order Now” button on the Website, as may be applicable, you acknowledge that you have read and agree to be bound by these Terms and Conditions. 1.4. The Website enables you to shop online for goods (“Goods”). 2.4. If there is any provision in these Terms and Conditions that you do not understand, it is your responsibility to ask Coco d’Afrique to explain it to you before you accept the Terms and Conditions or continue using the Website. 2.5. Nothing in these Terms and Conditions is intended or must be understood to unlawfully restrict, limit or avoid any right or obligation, as the case may be, created for either you or Coco d’Afrique in terms of the CPA. 2.6. Coco d’Afrique permits the use of this Website subject to the Terms and Conditions. By using this Website in any way, you shall be deemed to have accepted all the Terms and Conditions unconditionally. You must not use this Website if you do not agree to the Terms and Conditions. 2.7. You agree that, once you have done the necessary to order Goods, irrespective of whether the use of your email is unauthorised or fraudulent, you will be liable for payment of such order, save where the order is cancelled by you in accordance with these Terms and Conditions. 2.8. You agree to notify Coco d’Afrique immediately upon becoming aware of or reasonably suspecting any unauthorised access to or use of your email address and to take steps to mitigate any resultant loss or harm. 2.9. By using the Website you warrant that you are 18 (eighteen) years of age or older and of full legal capacity. If you are under the age of 18 (eighteen) or if you are not legally permitted to enter into a binding agreement, then you may use the Website only with the involvement and supervision of your parent or legal guardian. If your parent or legal guardian supervises you and gives his/her consent, then such person agrees to be bound to these Terms and Conditions and to be liable and responsible for you and all your obligations under these Terms and Conditions. 2.10. You agree that you will not in any way use any device, software or other instrument to interfere or attempt to interfere with the proper working of the Website. In addition, you agree that you will not in any way use any robot, spider, other automatic device, or manual process to monitor, copy, distribute or modify the Website or the information contained herein, without the prior written consent from an authorised Coco d’Afrique representative (such consent is deemed given for standard search engine technology employed by Internet search websites to direct Internet users to this Website). 2.11. You may not use the Website to distribute material which is defamatory, offensive, contains or amounts to hate speech or is otherwise unlawful. 2.12. You may not in any way display, publish, copy, print, post or otherwise use the Website and/or the information contained therein without the express prior written consent of an authorised Coco d’Afrique representative. 3.1. You may place orders for Goods, which Coco d’Afrique may accept or reject. Whether or not Coco d’Afrique accepts an order depends on the availability of Goods, correctness of the information relating to the Goods (including without limitation the price) and receipt of payment or payment authorisation by Coco d’Afrique for the Goods. 3.2. NOTE: Coco d’Afrique will indicate the acceptance of your order by delivering the Goods to you or allowing you to collect them, and only at that point will an agreement of sale between you and Coco d’Afrique come into effect (the “Sale”). 3.3. Prior to delivery or your collection of the Goods, you may cancel an order at any time provided you do so before receiving a dispatch or delivery notice. After delivery or your collection of the Goods, you may return the Goods only in accordance with the provisions of the Consumer Protection Act and Electronic Communications Act, whichever is applicable. 3.4. You acknowledge that stock of all Goods on offer is limited and that pricing may change at any time without notice to you. Coco d’Afrique will take all reasonable efforts to monitor stock levels and ensure that when stock is no longer available, that offers thereof are discontinued on the Website. However, we cannot guarantee the availability of stock. When Goods are no longer available after you have placed an order, Coco d’Afrique will notify you and you will be entitled to a refund of any amount already paid by you for such Goods. 3.5. Certain Goods may not be purchased for re-sale. Should we suspect that any such Goods are being purchased for sale, we are entitled to cancel your order immediately on notice to you. 4.1.3. direct bank deposit or electronic funds transfer: if you pay via direct bank deposit or electronic funds transfer, payment must be made within 5 (five) days of placing your order. We will not accept your order if payment has not been received. 5.2. Our delivery charges are subject to change at any time, without prior notice to you. The applicable delivery charges will be communicated to you. 5.3. Where your order has been accepted and payment has been received, Coco d’Afrique will deliver the Goods to you as soon as reasonably possible. 5.4. Coco d’Afrique’s obligation to deliver a product to you is fulfilled when we deliver the product to the physical address nominated by you for delivery of the order. Coco d’Afrique is not responsible for any loss or unauthorised use of a product, after it has delivered the product to the physical address nominated by you. 6.1. We shall take all reasonable efforts to accurately reflect the description, availability, purchase price of Goods on the Website. However, should there be any errors of whatsoever nature on the Website (which are not due to our gross negligence), we shall not be liable for any loss, claim or expense relating to a transaction based on any error, save – in the case of any incorrect purchase price – to the extent of refunding you for any amount already paid. 7.1. Coco d’Afrique may, in its sole discretion, change any of these Terms and Conditions at any time. It is your responsibility to regularly check these Terms and Conditions and make sure that you are satisfied with the changes. Should you not be satisfied, you must not place any further orders on, or in any other way use, the Website. 7.2. Any such change will only apply to your use of this Website after the change is displayed on the Website. If you use the Website after such amended Terms and Conditions have been displayed on the Website, you will be deemed to have accepted such changes. 9.1. The contents of the Website, including any material, information, data, software, icons, text, graphics, lay-outs, images, sound clips, advertisements, video clips, trade names, logos, trade-marks, designs and service marks which are displayed on or incorporated in this Website (“Website Content”) are protected by law, including but not limited to copyright and trade mark law.  The Website Content is the property of Coco d’Afrique, its advertisers and/or sponsors and/or is licensed to Coco d’Afrique. 9.2. You will not acquire any right, title or interest in or to the Website or the Website Content. 9.3. Any use, distribution or reproduction of the Website Content is prohibited unless expressly authorised in terms of these Terms and Conditions or otherwise provided for in law. 9.4. Where any of the Website Content has been licensed to Coco d’Afrique or belongs to any third party, your rights of use will also be subject to any terms and conditions which that licensor or third party imposes from time to time and you agree to comply with such third party terms and conditions. 10.1. The use of the Website is entirely at your own risk and you assume full responsibility for any risk or loss resulting from use of the Website or reliance on any information on the Website. 10.2. Whilst Coco d’Afrique takes reasonable measures to ensure that the content of the Website is accurate and complete, Coco d’Afrique makes no representations or warranties, whether express or implied, as to the quality, timeliness, operation, integrity, availability or functionality of the Website or as to the accuracy, completeness or reliability of any information on the Website. If any such representations or warranties are made by Coco d’Afrique’s representatives, Coco d’Afrique shall not be bound thereby. 10.3. Coco d’Afrique disclaims liability for any damage, loss or expenses, whether direct, indirect or consequential in nature, arising out of or in connection with your access to or use of the Website and/or any content therein unless otherwise provided by law. 10.4. Although Goods sold from the Website, the Website itself and all information provided on the Website is provided “as is” without warranty of any kind, either express or implied, including, but not limited to, the implied warranties of merchantability, fitness for a particular purpose, completeness, or non-infringement, as may be allowed in law. 10.5. Any views or statements made or expressed on the Website are not necessarily the views of Coco d’Afrique, its directors, employees and/or agents. 10.6. In addition to the disclaimers contained elsewhere in these Terms and Conditions, Coco d’Afrique also makes no warranty or representation, whether express or implied, that the information or files available on the Website are free of viruses, spyware, malware, trojans, destructive materials or any other data or code which is able to corrupt, destroy, compromise, disrupt, disable, harm, jeopardise or otherwise impede in any manner the operation, stability, security functionality or content of your computer system, computer network, hardware or software in any way. You accept all risk associated with the existence of such viruses, destructive materials or any other data or code which is able to corrupt, compromise, jeopardise, disrupt, disable, harm or otherwise impede in any manner the operation or content of a computer system, computer network, any handset or mobile device, or your hardware or software, save where such risks arise due to the gross negligence or wilful misconduct of Coco d’Afrique, its employees, agents or authorised representatives. Coco d’Afrique thus disclaims all liability for any damage, loss or liability of any nature whatsoever arising out of or in in connection with your access to or use of the Website. 11.1. This Website may contain links or references to other websites (“Third Party Websites”) which are outside of our control, including those of advertisers. These Terms and Conditions do not apply to those Third Party Websites and Coco d’Afrique is not responsible for the practices and/or privacy policies of those Third Party Websites or the “cookies” that those sites may use. 12.1. Coco d’Afrique cannot be held liable for any inaccurate information published on the Website and/or any incorrect prices displayed on the Website. 12.2. COCO D’AFRIQUE SHALL NOT BE LIABLE FOR ANY DIRECT, INDIRECT, INCIDENTAL, SPECIAL OR CONSEQUENTIAL LOSS OR DAMAGES WHICH MIGHT ARISE FROM YOUR USE OF, OR RELIANCE UPON, THE WEBSITE OR THE CONTENT CONTAINED IN THE WEBSITE; OR YOUR INABILITY TO USE THE WEBSITE, AND/OR UNLAWFUL ACTIVITY ON THE WEBSITE AND/OR ANY LINKED THIRD PARTY WEBSITE. 12.3. YOU HEREBY INDEMNIFY COCO D’AFRIQUE AGAINST ANY LOSS, CLAIM OR DAMAGE WHICH MAY BE SUFFERED BY YOURSELF OR ANY THIRD PARTY ARISING IN ANY WAY FROM YOUR USE OF THIS WEBSITE AND/OR ANY LINKED THIRD PARTY WEBSITE. 13.1. We will use reasonable endeavours to maintain the availability of the Website, except during scheduled maintenance periods, and are entitled to discontinue providing the Website or any part thereof with or without notice to you. 13.2. Coco d’Afrique may in its sole discretion terminate, suspend and modify this Website, with or without notice to you. You agree that Coco d’Afrique will not be liable to you in the event that it chooses to suspend, modify or terminate this Website other than for processing any orders made by you prior to such time, to the extent possible. 13.3. If you fail to comply with your obligations under these Terms and Conditions, including any incident involving payment of the price of an order for any Goods, this may (in our sole discretion with or without notice to you) lead to a suspension and/or termination of your access to the Website without any prejudice to any claims for damages or otherwise that we may have against you. 13.4. Coco d’Afrique is entitled, for purposes of preventing suspected fraud and/or where it suspects that you are abusing the Website to blacklist you on its database (including suspending or terminating your access to the Website), refuse to accept or process payment on any order, and/or to cancel any order concluded between you and Coco d’Afrique, in whole or in part, on notice to you. Coco d’Afrique accepts no liability which may arise as a result of such blacklisting and/or refusal to process any order. 14.1. These Terms and Conditions and our relationship and/or any dispute arising from or in connection with these Terms and Conditions shall be governed and interpreted in accordance with the laws of the Republic of South Africa. Your continued use of the Website will constitute your consent and submission to the jurisdiction of the South African courts regarding all proceedings, transactions, applications or the like instituted by either party against the other, arising from any of these Terms and Conditions. 14.2. In the event of any dispute arising between you and Coco d’Afrique, you hereby consent to the jurisdiction of the High Court of the Republic of South Africa (Western Cape Division, Cape Town) notwithstanding that the quantum in the action or proceedings may otherwise fall below the monetary jurisdiction of that court. 14.3. Nothing in these Terms and Conditions limits your right to approach any court, tribunal or forum of competent jurisdiction in terms of the CPA. 15.1. Coco d’Afrique hereby selects 24 Kloof Street, Cape Town, 8005, as its address for the service of all formal notices and legal processes in connection with these Terms and Conditions (“legal address”). Coco d’Afrique may change this address from time to time by updating these Terms and Conditions. 15.2. You hereby select the delivery address specified with your order as your legal address. 15.3.4. by email will be deemed to have been on the date indicated in the “Read Receipt” notification. ALL EMAIL COMMUNICATIONS BETWEEN YOU AND US MUST MAKE USE OF THE “READ RECEIPT” FUNCTION to serve as proof that an email has been received. 17.1. You may not cede, assign or otherwise transfer your rights and obligations in terms of these Terms and Conditions to any third party. 17.2. Any failure on the part of you or Coco d’Afrique to enforce any right in terms hereof shall not constitute a waiver of that right. 17.3. If any term or condition contained herein is declared invalid, the remaining terms and conditions will remain in full force and effect. 17.4. No variation, addition, deletion, or agreed cancellation of the Terms and Conditions will be of any force or effect unless in writing and accepted by or on behalf of the parties hereto. 17.5. No indulgence, extension of time, relaxation or latitude which any party (the “grantor”) may show grant or allow to the other (the “grantee”) shall constitute a waiver by the grantor of any of the grantor’s rights and the grantor shall not thereby be prejudiced or stopped from exercising any of its rights against the grantee which may have arisen in the past or which might arise in the future.